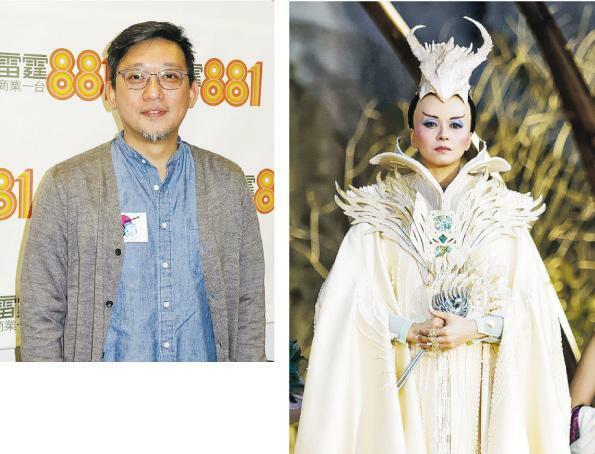 Director Soi Cheang Pou Soi yesterday spoke on the radio about his new film THE MONKEY KING 3 (SAI YAU GEI NUI YI GOK) and said that Law Chung Him, Gigi Leung Wing Kei, Lin Chiling and others after makeup were almost unrecognizable. Cheang Pou Soi said that their characters required that. He said, "They can't lose the original intent in order to recognize their appearance. Everyone pay money to watch the movie because they want to see the production, so the production has to be there. How hard is Him Jai's special effect makeup. His entire body is fake, even the muscles; even though he is very big himself. (Aren't Him Jai's muscles wasted?) Him Jai said that for the next one he can perform without clothes." 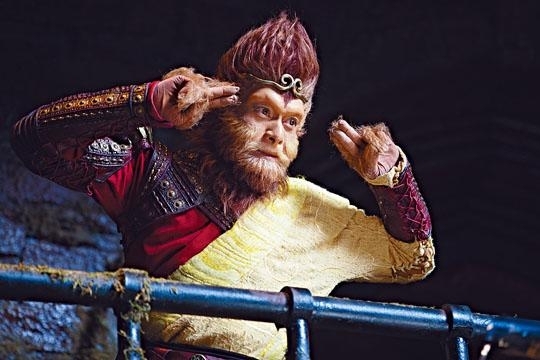 As for Aaron Kwok Fu Sing playing Sun Wukong again, he said that this time Sing Sing's character would be even more monkey. "Sing Sing this time would be wilder, the comedic sense is much stronger. He would be a happy Sun Wukong. (Because he is already married?) When he made it he wasn't married yet, but the feeling was somewhat different. However he had a tough time, he even had mood swings. Sing Sing would suppress his emotions. When I saw him I wanted to finish sooner, because in three months everyday he had to spend four hours in makeup, then shoot for eight hours, makeup removal took an hour, he slept for three or four hours and returned to work again. It was quite a torture." Aside from Sing Sing and Him Jai, Leung Wing Kei also gave up her looks. Director Leung joked that he grew up listening to Gigi's songs and felt that her character would be very refreshing. In order to convince the audience he would have to change her appearance to convince even herself. Thus he wanted to raise her hairline as little like in Noh so she would have a little more dominance. He had to sacrifice Gigi's beauty a little, but the look could help her get into character. Was Gigi object to it at first? He said, "No, surprisingly no. This first makeup test took eight hours." Speaking of great sacrifice, he felt that the Lin Chiling played "River God's" sacrifice was even great. She was pretty and in good shape, in the film a masculine Chiling would be seen. Why did he took away all the actors' advantages? He said, "I am very afraid that the audience would just watch their looks. I feel Chiling and Gigi aren't just very pretty outside. Chiling didn't have any line but performed very well." Did Chiling's rumored boyfriend Jerry Yan visit the set? He said, "I didn't really notice, I don't know if she hid him, no no no, really no."